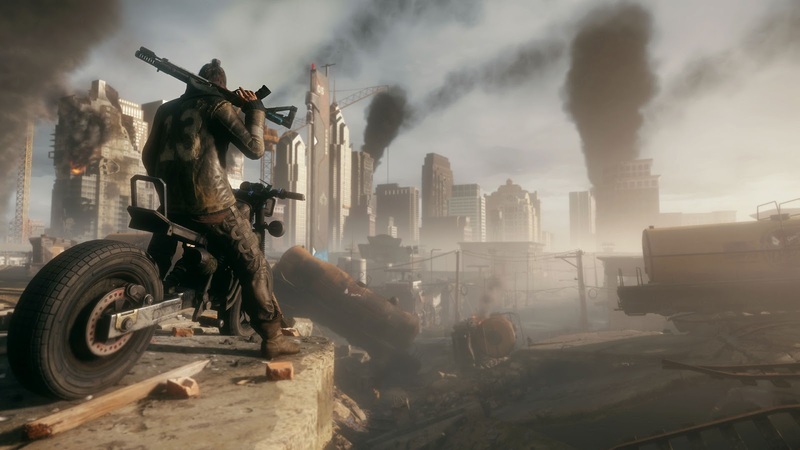 Wait, is this meant to be Homefront: The Revolution or Mad Max? Homefront: The Revolution is being developed by a studio called Dambuster Studios. Its employees originally worked for Crytek UK until financial difficulties resulted in many layoffs and the selling of the Homefront IP to Koch Media, parent company of publisher Deep Silver. Despite the original Homefront receiving mixed reviews, the "Red Dawn" setting seems to be one too good to pass up. Homefront: The Revolution takes place a few years after the original game where the United States is being invaded by a unified Korea called the Great Korean Republic (GKR). The game will be set in Philadelphia which apparently serves as the headquarters for the GKR in the Eastern United States. The player will get to control a character named Ethan "Birdy" Brady who is part of a local resistance movement with the ultimate goal being the liberation of Philadelphia proper. Besides the interesting setting, the game promises to be an open world game (since they're all the rage nowadays, right?) and since the game is being developed by a former subsidiary of Crytek, its running on the most recent version of the CryEngine (meaning snazzy visuals). The feature I'm looking most forward to though is the promise of online co-op where "you and your friends can form your own Resistance Cell and become renowned as Heroes of the Revolution". It's not really much to go on but provided it's not just a handful of co-op missions incorporated with leaderboards, there could be great potential here.